Bayern Munich striker Robert Lewandowski says he is aiming to continue terrorising defences in Europe for the foreseeable future, despite being on the verge of turning 30 later this summer. That combination of maturity and experience has paid dividends for both club and country recently. Lewandowski found the net 29 times for Bayern as they stormed to the Bundesliga title last season, and he also set a new European record in FIFA World Cup qualifying by scoring 16 times to spearhead Poland's charge to Russia 2018, where he will lead his nation out against Senegal on Tuesday. Never one to rest on his laurels, however, the 29-year-old is determined to get even better. "At the moment I'm trying to improve my long-distance shooting with my left foot," said the forward, whose image now adorns a limited-edition postage stamp in his homeland. 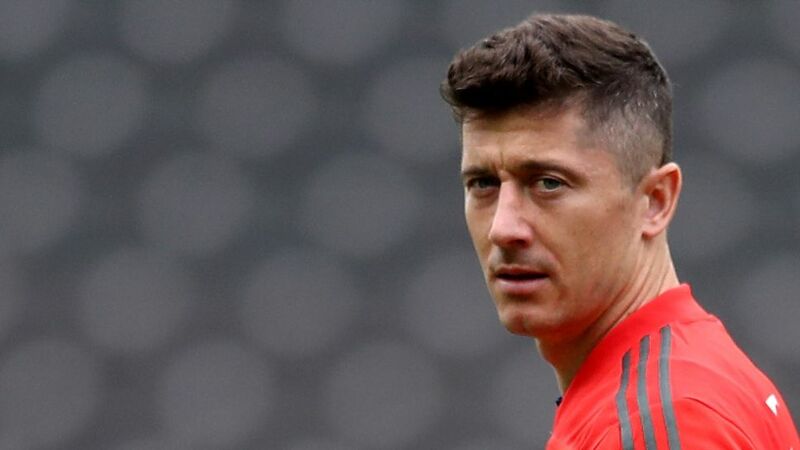 After Poland's opening Group H game against Senegal, Lewandowski will go head-to-head with Bayern team-mate James Rodriguez and Colombia on 24 June before their final fixture against Japan. Click here for our World Cup overview!